You would think the banking industry would learn but sadly it appears not, according to a new report. 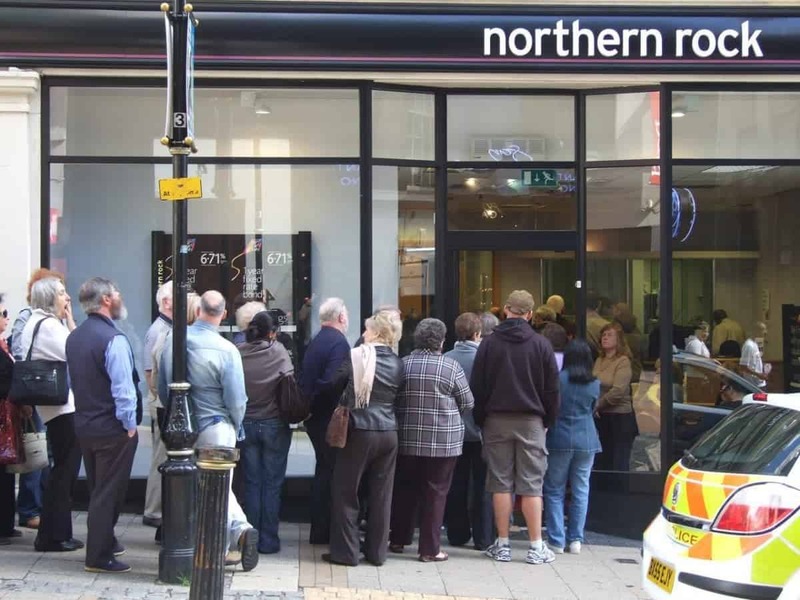 The report has been published to coincide with the 10th anniversary of the Northern Rock crisis, that led to a run on the bank. This new report, which was authored by Kevin Dowd, Finance and Economics Professor at Durham University, was scathing on the state of the financial sector. He wrote: “The stress tests are about as useful as a cancer test that cannot detect cancer. ““They seek to demonstrate a financial resilience on the part of UK banks that simply isn’t there. “It is disturbing that 10 years on from Northern Rock, the best measures of leverage – those based on market values – indicate that UK banks are even more leveraged than they were then. The Bank of England did not comment on the new report but the subject was the topic of a hearing of the Treasury select committee in January. The banks have paid back the cash – so why is the government still imposing austerity? Deep Impact: How will a Brexit Affect UK Banks?